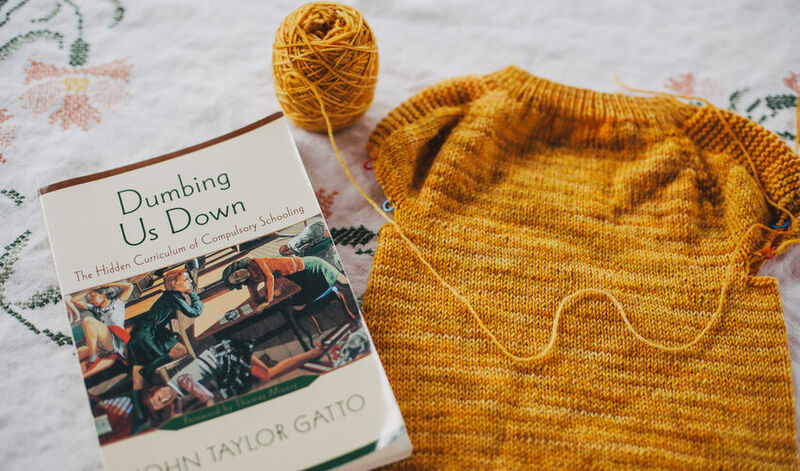 Linking up with Ginny today for her Yarn Along to share what I've been knitting and reading! I spent the four or so hours on the way home from our vacation a couple of weeks ago making good progress on the body of a flax light pattern sweater for Tenny. I did swatch for this and matched the stated gauge but I'm feeling like stressed road trip knitting is maybe producing a rather trim sweater. Ha! Oops! We'll have to see (the yarn is Knit Picks Stroll Tonal in Poppy Fields).